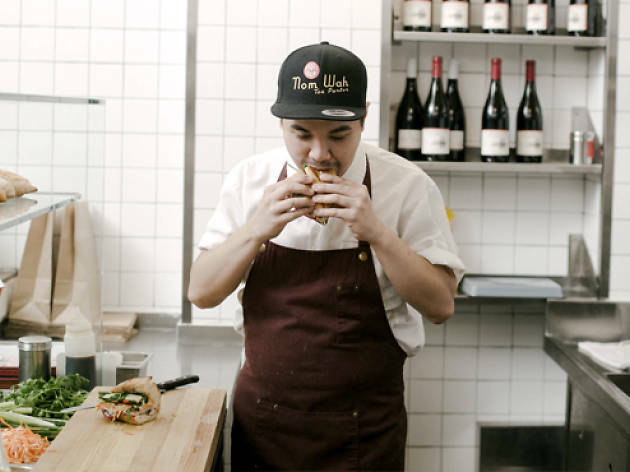 With decades of experience, from his parents’ Vietnamese restaurant in Brisbane to Hong Kong’s very own Le Garçon Saigon, Bao La is one of Hong Kong’s poster boys for modern Vietnamese cuisine. 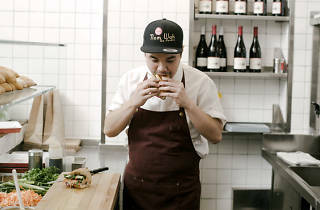 We chat to the head chef about his latest concept, the banh mi focused Le Petit Saigon, and the increasing popularity of Vietnamese food in Hong Kong. I think I always knew, but my parents run a restaurant so I saw how tough it was when I was growing up. They wanted an easier life for me, so I worked as an accountant for a while since I owed it to them to give that life a shot. Ultimately, though, it wasn’t for me. Tell us about your latest project, Le Petit Saigon. Banh mi thit is all we serve. It’s the ultimate sandwich as it’s so comprehensive. Our ingredients are predominantly made in-house including the rolled pork belly, fromage de tete, pate, mayo and pickles. It’s a takeaway concept so guests eat their sandwiches curbside, Vietnam-style. Why do you think Hong Kong’s had such a big influx of Vietnamese restaurants recently? With cheap, regular flights, Hongkongers are travelling to Vietnam more often and are becoming more exposed to the dining culture. It’s such a vibrant cuisine and people come back to Hong Kong hungry for more. What’s your style of Vietnamese cooking? 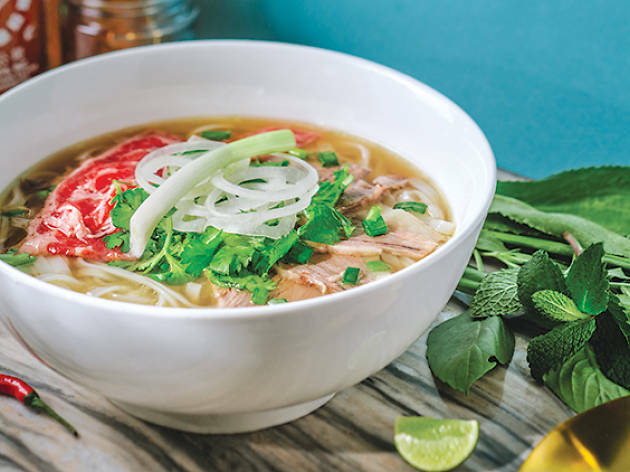 I love pho but it upsets me when people think they can sum up Vietnamese cuisine in a bowl of noodle soup. When I cook Vietnamese food, I want to show people its incredible variety and hopefully encourage them to try something new. I think everyone needs to look at wastage and how we use food, so I’m trying to be more conscious. We’ve almost eliminated plastic from the kitchen and suppliers now. But one day in the future, I think farm life might be for me. Where’s your go-to for Vietnamese food in Hong Kong? Moi Moi for its homestyle dinner menu. Nobody else is really doing this style of Vietnamese cooking. What’s your favourite restaurant in Hong Kong? I love 天祥飯店 (Teen Cheun Fan Dim) dai pai dong in Sham Shui Po. It has a lot of history and to me, it’s what Hong Kong cooking is about. Their stir-fried beef and potato is probably the best dish in the city. What’s your favourite bar in Hong Kong? I don’t really drink these days but I like going to Upstairs at Belon as it’s a really unpretentious spot in Soho. I’m kind of a homebody outside of work. I like hiking or cooking Chinese food with my partner’s family. What’s your favourite guilty pleasure when it comes to food in Hong Kong? 7/11 degustation! My 7-Eleven hack is buying the Korean spicy noodles – using the packet as a bowl – and adding curry fish balls from the counter. It’s not just for drunk people! 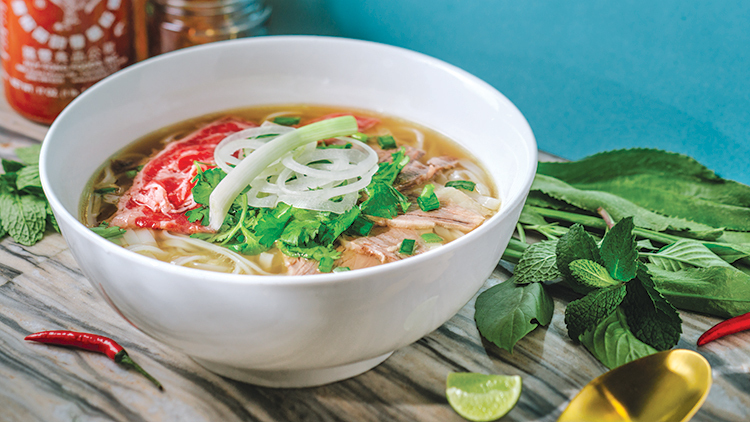 A good pho is no longer so hard to find in Hong Kong, thanks to these excellent newcomers.